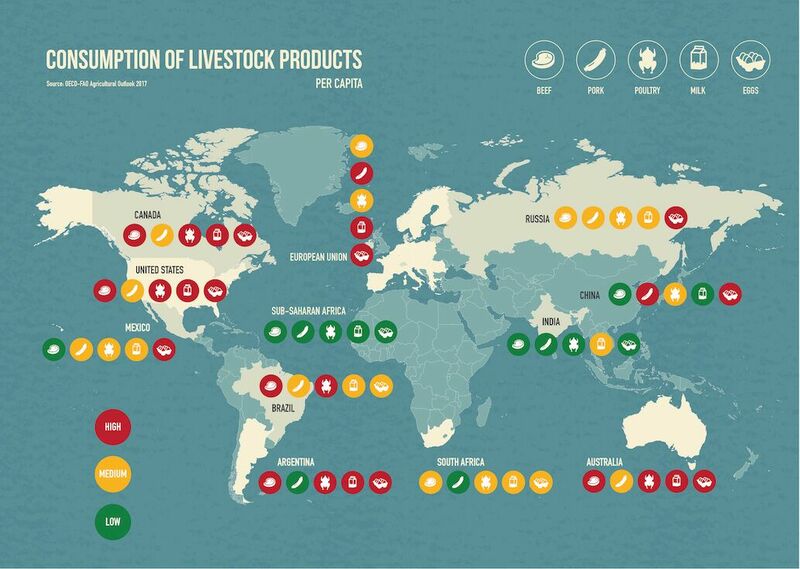 19 Oct 2018 --- Governments do not have policies in place to tackle the over-consumption of meat and dairy around the world, according to a new report from The Changing Markets Foundation. However, the report, Growing the Good: The Case for Low Carbon Transition in the Food Sector, points to the fact that government policies universally support unsustainable agricultural production systems dominated by intensive meat and dairy farmers and producers. At the same time, meat consumption is more than double the recommended level for healthy diets in the US and several EU countries. Published to coincide with World Food Day, the CMF report reveals “a complete absence of policies in place” by governments on the issue of eating meat and dairy. 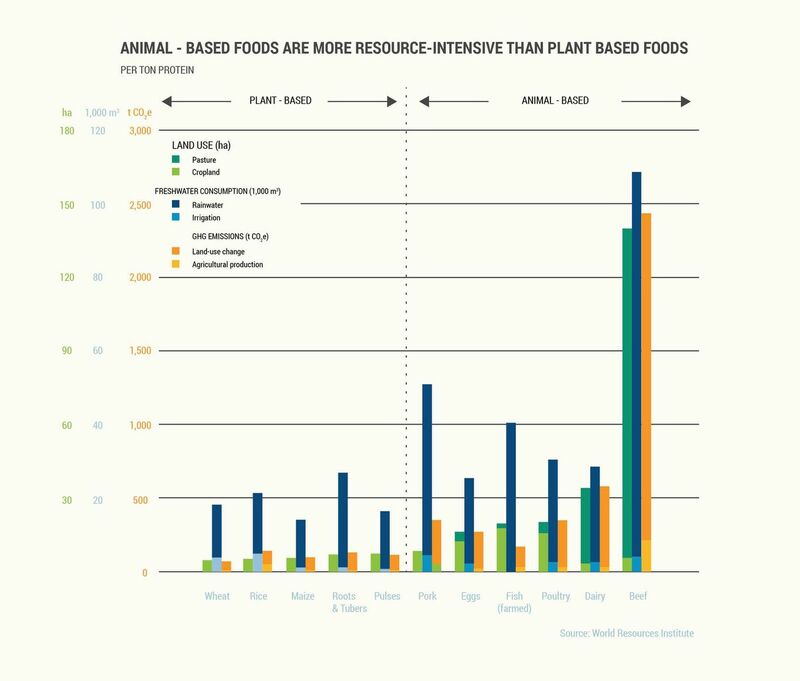 In fact, it claims that existing policies almost universally support intensive meat and dairy production which, in some areas, is hindering the growth of meat alternatives. This is yet another warning that comes hot on the heels of dire cautions about the impact of climate change in the coming years from the Intergovernmental Panel on Climate Change (IPCC). Experts have revealed that a rise of more than 1.5°C is risking the plant’s livability and this could be exceeded by 2030 unless drastic steps are taken now. The IPCC report says the planet is facing unprecedented global warming risks including droughts, floods and other extreme and severe weather events. Limiting global warming to 1.5°C would require rapid and far-reaching changes in all aspects of society. And, at the same time, in-depth analysis involving the University of Oxford and the Potsdam Institute for Climate Impact Research in Germany, says that one way to avoid climate chaos is to reduce meat consumption and go flexitarian. Dietary changes are needed to slow the impact of climate change, with less meat and more plant-based diets, it says. Considerable differences in farming are also required to avoid the dangers of a warming planet and the challenges of feeding a growing population in a world estimated to have 9.7 billion people by 2050. The Changing Markets Foundation report includes a list of recommendations for policy-makers to take on board to ensure that food production plays its part in the low carbon transition. Governments are driving the low-carbon transition in the energy and transport sectors, but the agricultural industry is significantly lagging behind. Yet avoiding meat and dairy products is the single most significant way to reduce your environmental impact and agriculture is the leading cause of mass extinction of wildlife, according to the Foundation which works to expose irresponsible corporate practices and drive change towards a more sustainable economy. The report also includes details of how international governments are failing to ensure the food and farming industry is part of the solution to climate change. “The lack of public policies in this sector is alarming. If meat and dairy consumption increases as forecast, there will be almost no room within the total allowable global emissions budget for any sectors other than agriculture by 2050,” says Nusa Urbancic, Campaigns Director at the Changing Markets Foundation. 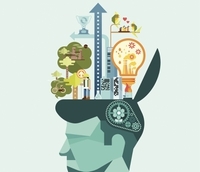 Plant-based innovation is flourishing, according to Innova Market Insights. The number of vegans and vegetarians is also growing rapidly and many more people, particularly among the younger generations, are reducing their meat intake, leading to a jump in the number of flexitarians. Plant-based innovation is flourishing, according to Innova Market Insights. Growing consumer interest in health, sustainability and ethics are driving plant-derived ingredients and products into high popularity. Innova Market Insights reports that plant-based product claims increased by 62 percent globally (CAGR, 2013-2017) with growth occurring on platforms such as plant proteins, active botanicals, sweeteners, herbs & seasonings, and coloring foodstuffs. The dairy alternatives market has been a particular beneficiary of this trend. In contrast, a new survey exploring how consumers comprehend the difference between milk and non-dairy alternatives reveals that most people are actually not confused at all. The International Food Information Council (IFIC) Foundation shows a low level of consumer confusion over terminology and basic differences between the two. This comes at a time when the US Food and Drug Administration (FDA) is considering a proposal to provide greater clarity on the appropriate labeling of plant-based alternatives. 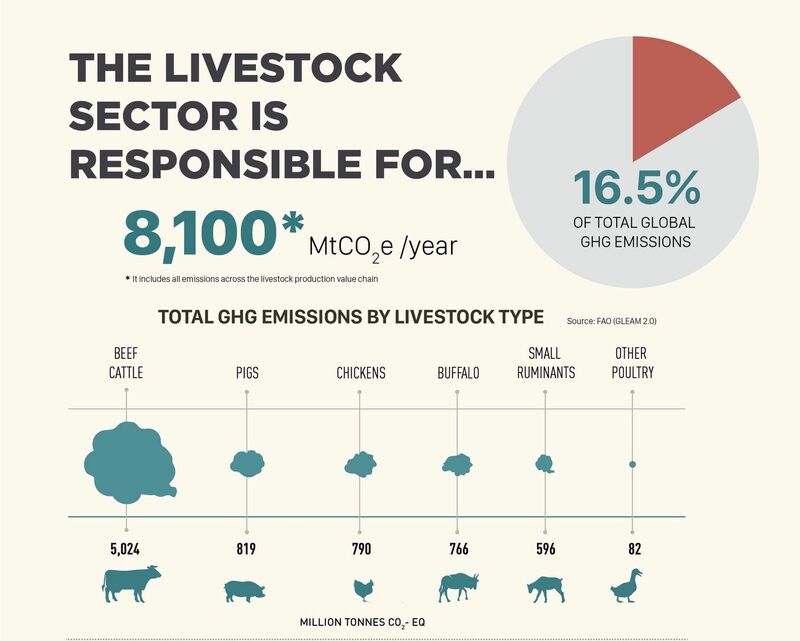 Animal agriculture is today responsible for around 16.5 percent of the world’s greenhouse gas (GHG) emissions, equivalent to the emissions from combustion of all transport fuels. The sector is also responsible for a third of potent methane and nitrous oxide emission. crucial to reduce the pressure on land. Bérénice Dupeux, Policy Officer for Agriculture at the European Environmental Bureau (EEB), adds that the Foundation’s report is more evidence that to limit global warming to 1.5 degrees, the agriculture sector needs to reduce meat and dairy production to reduce overall emissions significantly. “The number of extreme climate events is increasing. As this summer’s droughts showed us, we cannot afford to pour money into continuing the type of agriculture that is exacerbating climate change and leave environmental ambition to goodwill,” she says. Updating fiscal policies to reduce meat demand and consumption. So-called meat taxes have been recommended by several reputable institutions, as a tax on goods deemed to be unhealthy and damaging to the environment. Incentivizing the production of diverse and underused protein crops, such as pulses, for human consumption. Funding for the research and development of plant-based and other meat alternatives, such as clean meat. Meat Dairy Climate Change Global Warming Drought Extreme Weather Floods Environment Low Carbon World Food Day Farming Protein Crops Plant-Based Agriculture.